It’s a great way to mount extra water bottles to your bike and it’s far easier to reach the water bottle when it is behind you. 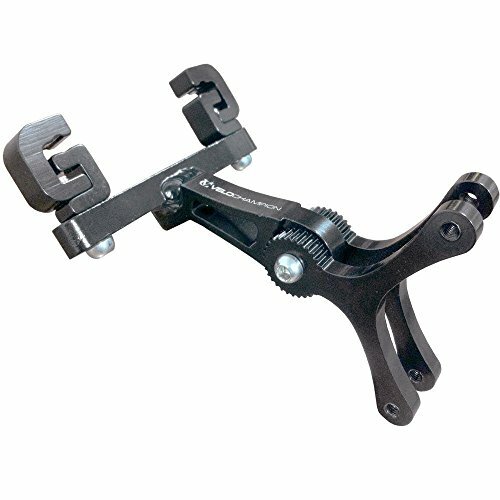 The clamps that hold the mount to the saddle rails move independently so if the rails of your saddle are angled at the end then it will still work for you. You will like the benefit of being able to independently angle each bottle. Firstly, have the bottle cage at 90 degrees, don’t risk anything like 45 degrees – even if it is easier to get to. Use a standard size water bottle – 500ML (not 700ML or 800ML). Choose a water bottle which is tight fitting on the cage.